Find out about new resources and services, events and programs, and what we do for you. Follow Library News. locate full text from citations, and more. Whether you're a recent or not-so-recent graduate, Janelle Julagay is available to help answer your questions, introduce you to Armacost Library, and equip you with the skills you need to make thoughtful decisions in your research. 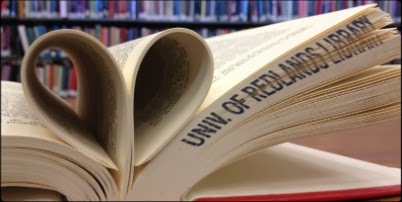 Visit InSPIRe@Redlands, the University's online repository of scholarly and creative works. Since the fall of 2013, InSPIRe has been publishing and sharing student scholarship, conference materials, and special collections with the world. Discovering these materials is easy for anyone with an internet connection since the site is crawled and indexed by major search engines; accessing materials is also easy since many of the items can be freely downloaded with a click of a button. Quality undergraduate research is recognized through the Armacost Library Undergraduate Research Award (ALURA) which was established to reward those students who demonstrate thoughtfulness and creativity in their approach to research and whose work exhibits excellence in critical thinking. To see the work of these scholars visit ALURA in InSPIRe. If you're an undergraduate student, we encourage you to apply.